The Olympic qualification window officially ended on Monday, and with that, many nations are releasing their Olympic rosters. We know a number of HepsNation athletes that have qualified for the Olympics that start on August 5th to 21st in Rio de Janeiro, Brazil – but they won’t be considered Olympians until the rosters have officially been released. We’ve covered the Team USA trials extensively these last two weeks. Now, we focus our gaze around the world: who ELSE will be going to Rio? A pair of recent Ivy throwing greats will be wearing green and white down in Rio. 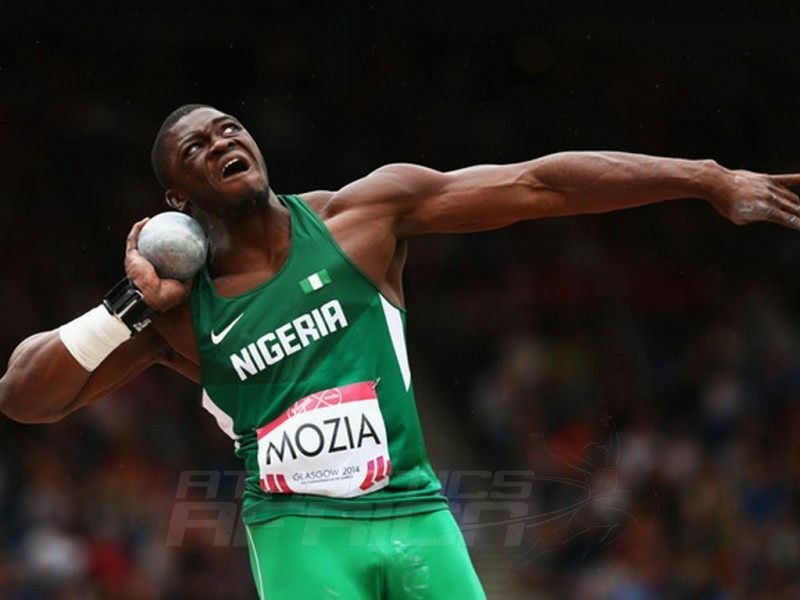 Stephen Mozia and Nikki Okwelogu will throw the shot put for Nigeria, as officially announced on Tuesday. Mozia is the Nigerian record holder in the shot put while Okwelogu won the African Championships title in this event last month. Joining Donn Cabral and Sean Furey as repeat Olympians from the 2012 Games is Muhammad Halim. The Cornell graduate will triple jump once again for the U.S. Virgin Islands, as announced on Tuesday. Halim will be one of seven athletes competing for the US Virgin Islands. Cornell’s head coach Adrian Durant is the national head coach for this team and is expected to make the trip to Rio with Halim. Cornell will have a fourth Big Red person going to Rio – Spain’s King of the Sprints, Bruno Hortelano. Hortelano will represent the red and gold in two events, the 100m and 200m. He currently holds the Spanish national records in both events and won the European Championship title in the 200m earlier this month. Spain made the official announcement on Thursday, July 14th in a YouTube video. Alexi Pappas has essentially been a part of Greece’s Olympic contingent since early May. When she broke the 10km Greek national record at the Payton Jordan Invitational, she received her invitation from the Greek National Olympic Committee to go to Rio. The Dartmouth alumna and film-maker will be the first Greek woman to compete in the 10km at an Olympic Games. This entry was posted on Wednesday, July 13th, 2016 at 7:35 am. It is filed under Olympics, Spotlight. You can follow any responses to this entry through the RSS 2.0 feed.